On May 7, 1912, a few months after the death of Joseph Pulitzer, Columbia University set the plans in motion for establishing the Pulitzer Prize as stipulated in the journalist’s will. Five years later, on June 4, 1917 the Prize Board named the first recipients of that honor, awarding prizes in four categories: history, biography, reporting, and newspaper editorial. 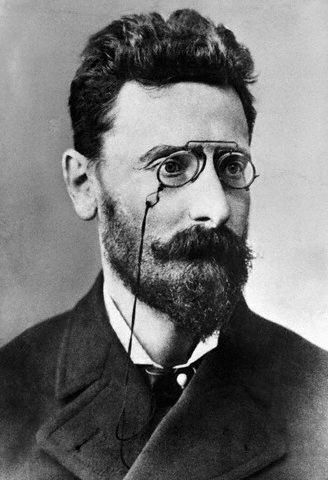 Born in Mako, Hungary, the well educated Joseph Pulitzer fell into his journalism career the way most people do, by well-timed networking at a public chess match. But it wasn’t luck that brought him success as the owner of the St. Louis Post-Dispatch and later as owner of The New York World. For Pulitzer, free expression and a free press would always be the watchdog that would protect people from government abuses, calling to account politicians who act in their own interest rather than that of the nation they represent. His ideals stand firmly against suppression of speech, whether deemed prudent or not, and demand that all voices can be heard. And so he established a school for journalism and a system for awarding excellence in journalism and other creative pursuits, with a particular emphasis on works that in some way serve the betterment of humanity, particularly exposure of government corruption and injustice. Pulitzer also had the foresight to recognize that society would evolve over the years and so he gave the Board authority to expand the award categories as they deemed appropriate. Since the award was first established, it’s expanded at various times to include, among other things, telegraphic reporting, poetry, music, and feature photography. And since 1995, it’s been adapting to the expansion of online news outlets. Even so, to the best of my knowledge, there is not yet a category for independent practical history blogs, despite the fact that they tend to pair history with sensational stories, exaggerations, and occasionally stuff that’s just plain made up. And who knows, they may even lead to the betterment of humanity. But that’s okay, because bloggers are pretty good about recognizing the efforts of other bloggers. Of course blogs cover a wide variety of topics and there are about a million different reasons a writer might turn to blogging. But whatever the purpose, a blog is an unfettered creative outlet with the potential to influence society. We should recognize one another in our creative efforts. That’s prettier than a Pulitzer medal. That’s why I am extremely grateful, on this 103rd anniversary of the day Columbia University first approved plans to establish the Pulitzer Prize and in this week when I celebrate the third anniversary of my silly little blog, to accept the Creative Blogger Award. Like most blog awards this one comes with a few rules. First, thank the blogger who nominated you and provide a link to their blog. Second, share five things about yourself. 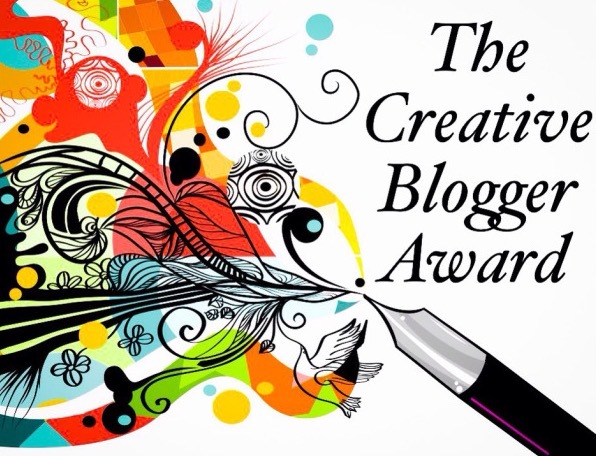 Third, nominate 10 -15 more creative blogs. Thank you very much to Susan Roberts of Susan’s Musings for the kind nomination. 1. My fourth grader’s teacher sends an e-mail every week asking parents to remind students they need to practice their recorders. I’ve never reminded him. Not once. And I never will. 2. I once spent a few months working as a dog trainer for a major pet supply retailer. At the time I was a cat person. Actually I still am a cat person. Seriously, it’s a strong preference. Just don’t tell my dog because it would hurt his feelings and he’s pretty sweet. 3. When I was sixteen, my grandmother offered me a piece of sage advice. She said, “If you have to fall in love and marry someone, he might as well be a farmer.” My husband isn’t a farmer, but Grandma always liked him anyway. 4. I read a lot of literary fiction, upscale historical fiction, and narrative nonfiction, but I have a serious weakness for young adult dystopian fiction. I can’t help myself. It doesn’t even have to be well written. And I will set aside just about any great literary work currently on my “to read” shelf in favor of one. 5. The very first home cooked meal I made after my husband and I were married was macaroni and cheese. From a box. He thanked me and ate it with a smile. Now that’s a keeper! And thankfully, I have since become a better cook. Though my kids still prefer the boxed mac ‘n’ cheese. Congratulations to you!!!! 🙂 Well deserved on your part. I am so grateful for your nomination of me. Thank you! Of course I would gladly have nominated both of your wonderful blogs, but I thought that might translate into an awful lot of work for you. Congrats! It astounds me that you don’t get such an award almost every week! I love the way you manage to slide all sorts of interesting bits of history into everything you write. A worthy Creative Blogger Award recipient indeed! Thank you again for the nomination! I have really enjoyed getting to know your blog as well. Excellent blog ! i enjoy it 🙂 Thank your for the nomination. You absolutely should get lots and lots of recognition and awards. That was wonderful of you to put me on the list! Thank you, Beth. I enjoy your blog very much. Yours is probably my favorite blog of all, and I regularly read at least five, sometimes half a dozen. You are worthy of grand recognition. Thank you, Marcia. That’s very high praise.